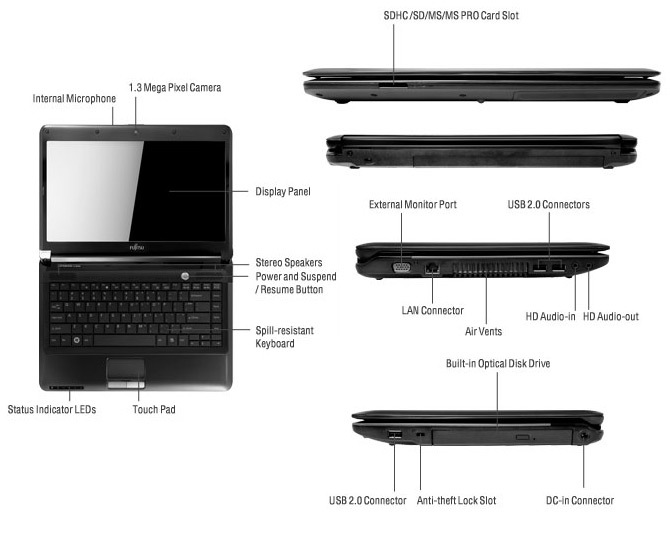 Fujitsu today announces the release of the Fujitsu LifeBook LH520 multimedia notebook, based on AMD Athlon II Dual-Core Processor and DirectX 11 supporting ATI Mobility Radeon HD 5430 graphics. 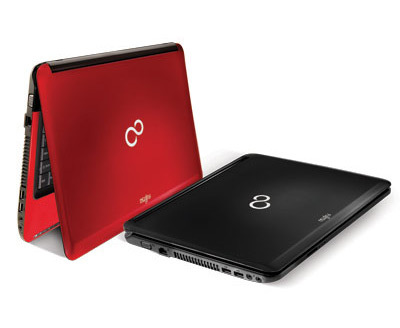 Available in matt red or matt black, the LifeBook LH520 comes with 14-inch SuperFine HD back-light LED 220nits( 1366 x 768 pixels), AMD Athlon II Dual-Core Processor P320 (2.1GHz 1MB L2 cache) on AMD RS880M + SB820M Chipset, Mobility Radeon HD 5430 graphics, 2GB DDR3 1066MHz RAM with option for up to 8GB DDR3 1066MHz, 320GB/ 500GB storage capacity, 802.11BGN wireless, Bluetoothv2.1+EDR, a DVD Writer, a spill-resistant keyboard, built-in 1.3 Mega Pixel camera, dual built-in stereo microphones, Anti-theft Lock Slot and 6-cell battery for up to 3 and1/2 working hours. 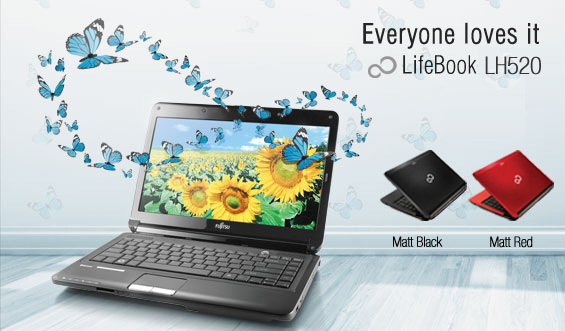 “The Fujitsu LifeBook LH520 is great for consumers today who seek a notebook that exceedingly suits their personal needs yet is budget-friendly. Capable of optimal performance as well as showcasing state-of-the-art graphics display, the LifeBook LH520 is designed to bring both ultimate convenience and performance, as well as out-of-this-world leisure experiences to users,” commented Mr Lim Teck Sin, Director of Product Marketing, Fujitsu PC Asia Pacific.